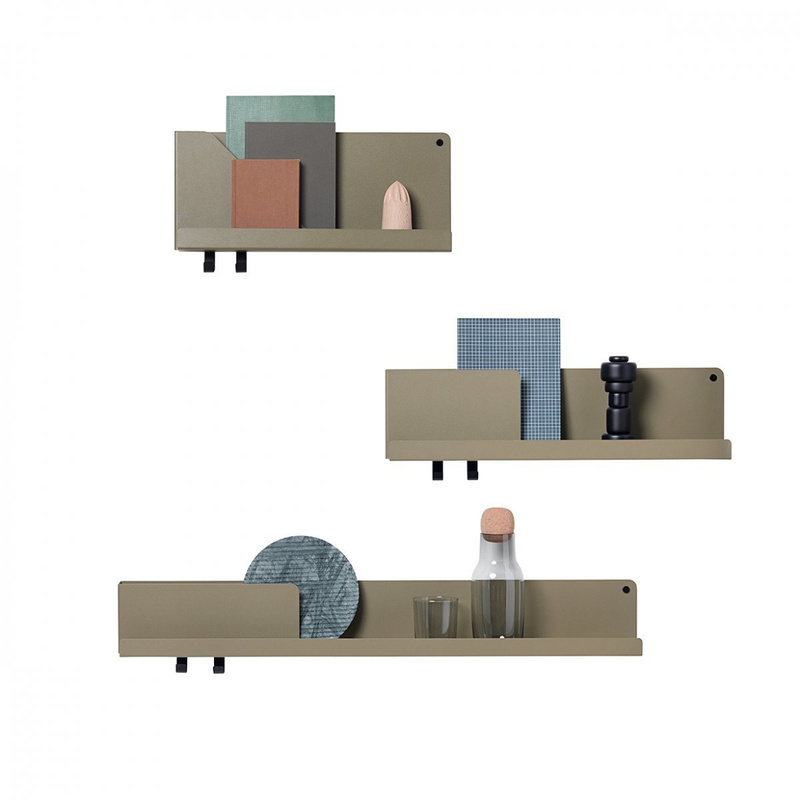 The Folded shelf is an interesting creation signed Muuto, renowned Danish design brand that has always shown a predilection towards modern and innovative styles. 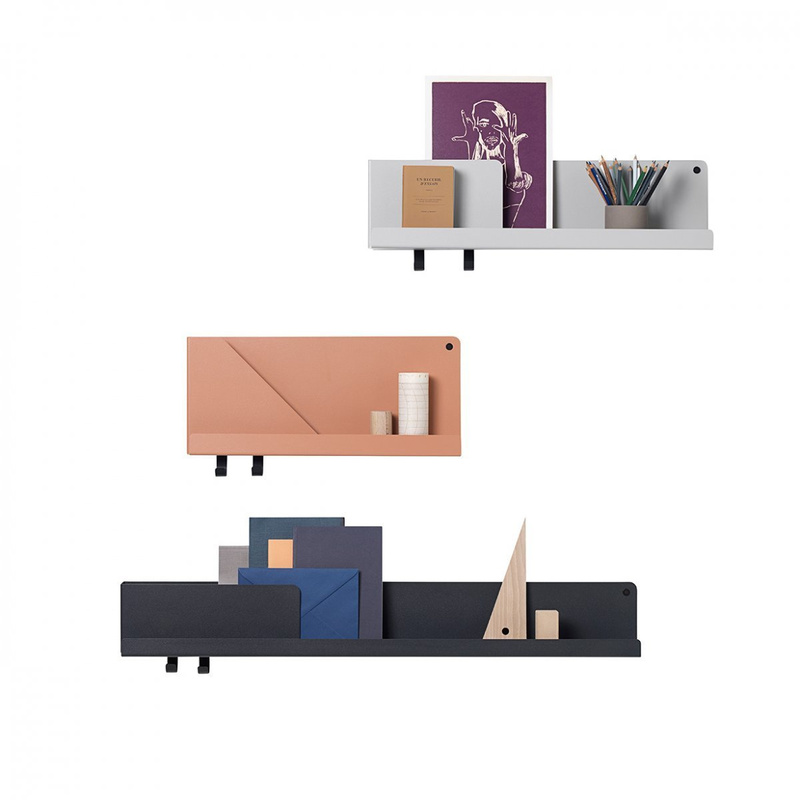 Muuto created its Folded shelf in different sizes, and this model is the medium-sized one. The aesthetics of this creation is simple and straightforward, with a slender and essential structure markedly contemporary. 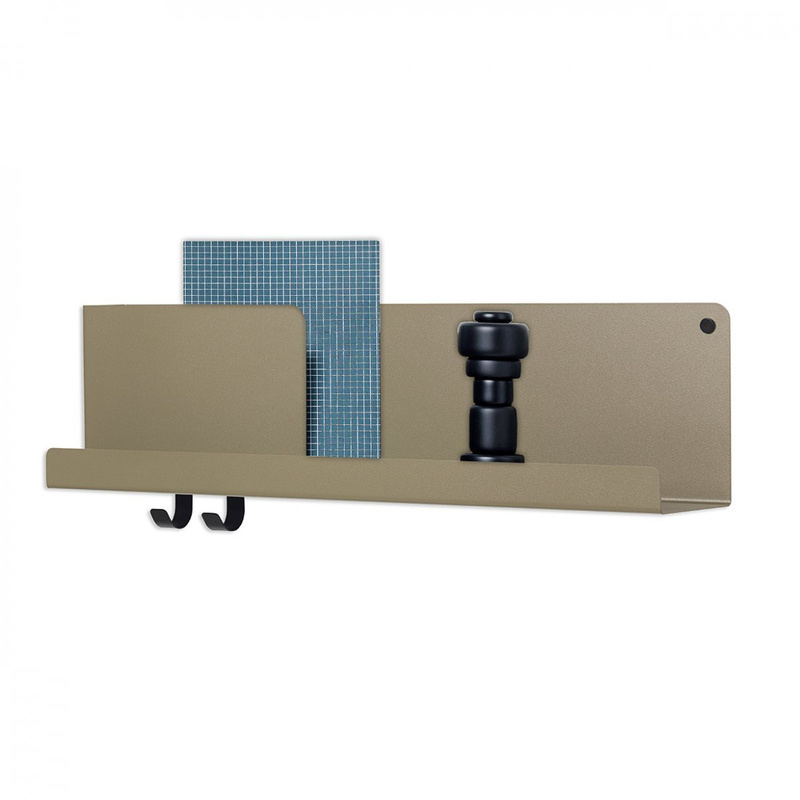 This shelf can be used in different ways: in addition to presenting the classic shelf on which you can store all kinds of objects, in fact, this shelf has two practical hooks on the bottom that can be used in many ways. Folded is a shelf specifically shaped to be able to be wall-mounted and thanks to the presence of two bolts its assembly really proves to be very practical and functional. 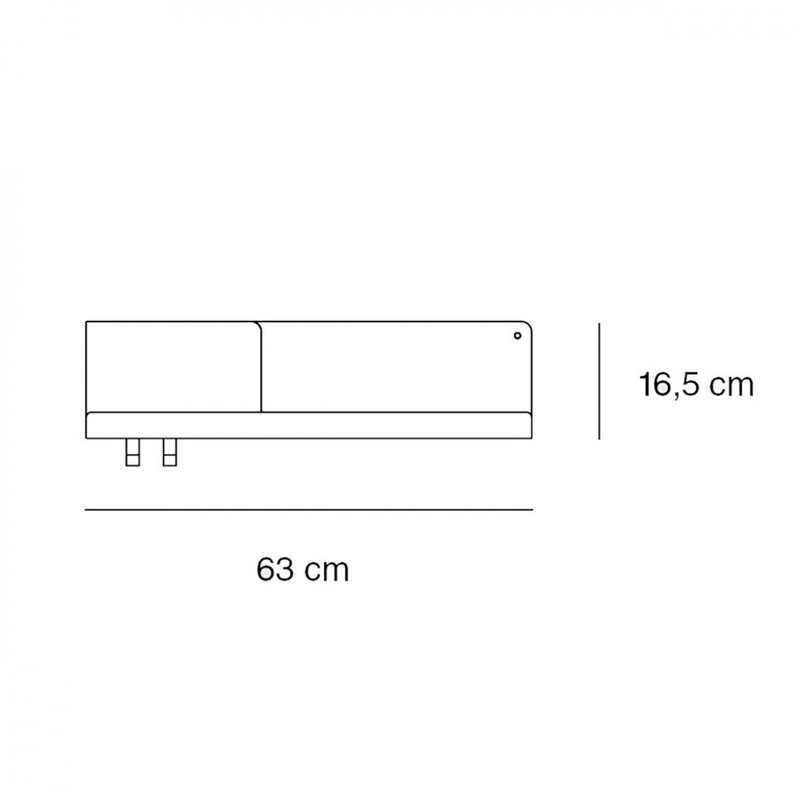 Despite having a light structure, this shelf is characterized by a considerable strength and is also able to support rather heavy loads in relation to its size. 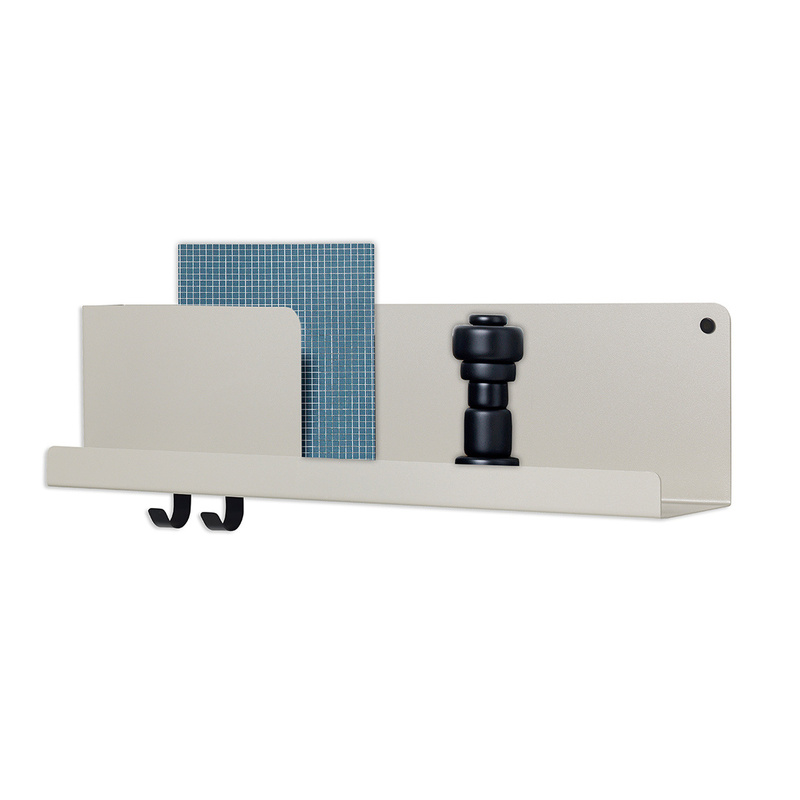 Folded lends itself to various uses in terms of design: this shelf is a great accessory for a room furnished in an original or minimalist style, and is a great product for all modern spaces. 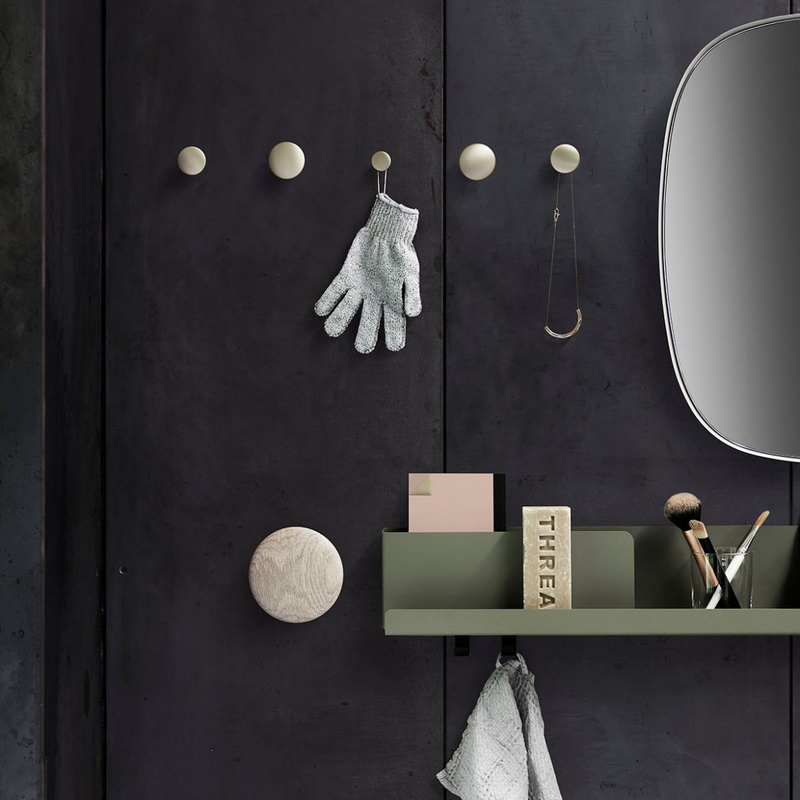 Thanks to its simple and clean lines, you can successfully place it even in the most classical or formal contexts. This pretty shelf by Muuto can be positioned in any domestic setting: a living room, a kitchen, a dining room, a bedroom, even in a bathroom, in addition to all those contexts other than the domestic one, such as offices or shops. To recreate design corners it may be an excellent idea to pull together many pieces, to mount them on the same wall or on two nearby walls. Information: remove the dust with a soft, damp cloth. 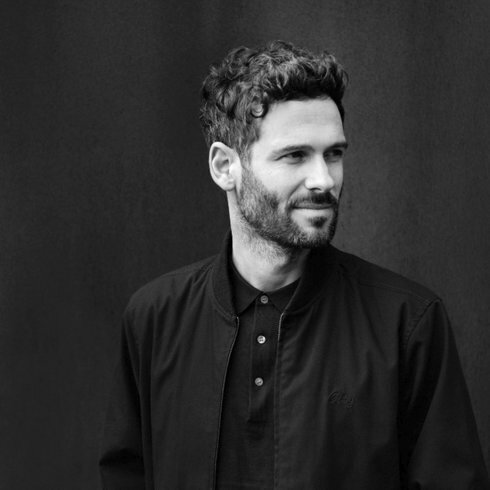 Johan van Hengel is a Dutch designer based in Rotterdam. 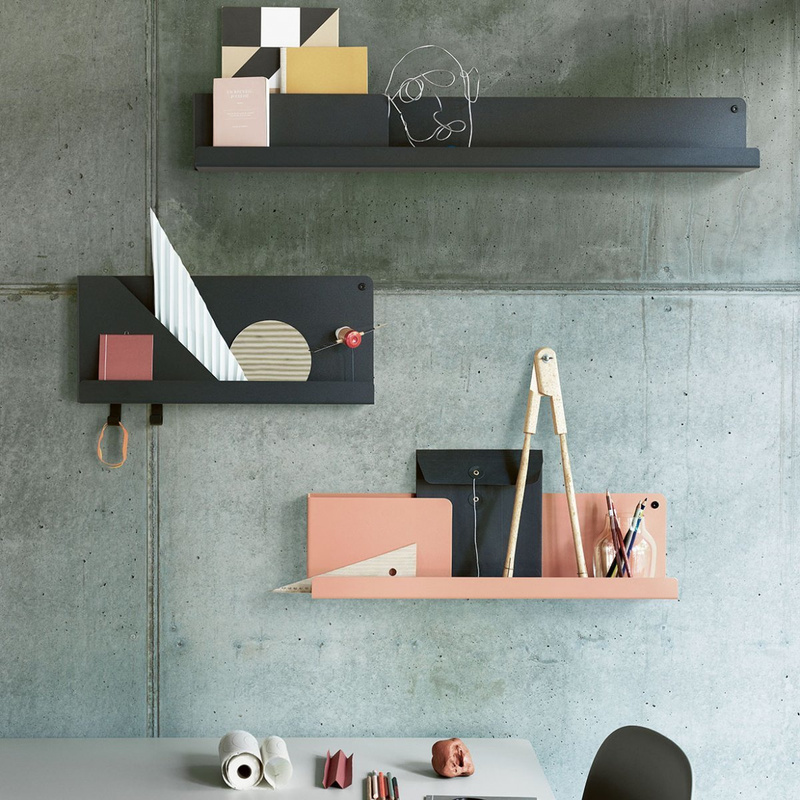 With a technical background in industrial design he worked on both consumer electronics and furniture before launching his own studio in 2013 where he focusses on furniture, lighting and living accessories.